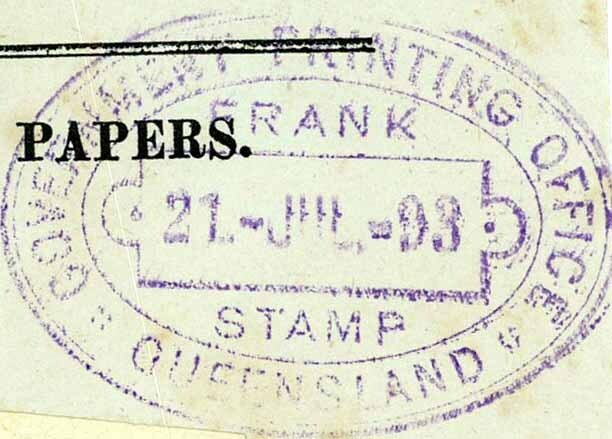 Little or nothing is recorded on the Frank Stamps of Queensland, below are copies I have in my collection. 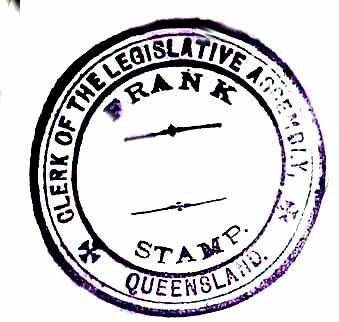 I can find no records of frank stamps other than: Proceedings, Debates and Votes were sent free of charge within the colony of Queensland if posted within seven days of publication, this appears to have been in each and every subsequent Postal Act, it was added to the Postal Act of 1871 in 1876. I can find no records on the regulations of interstate usage. So where are the early dates? I have no other dates to compare my collection with, I have not seen others available either on the market or in private collections. 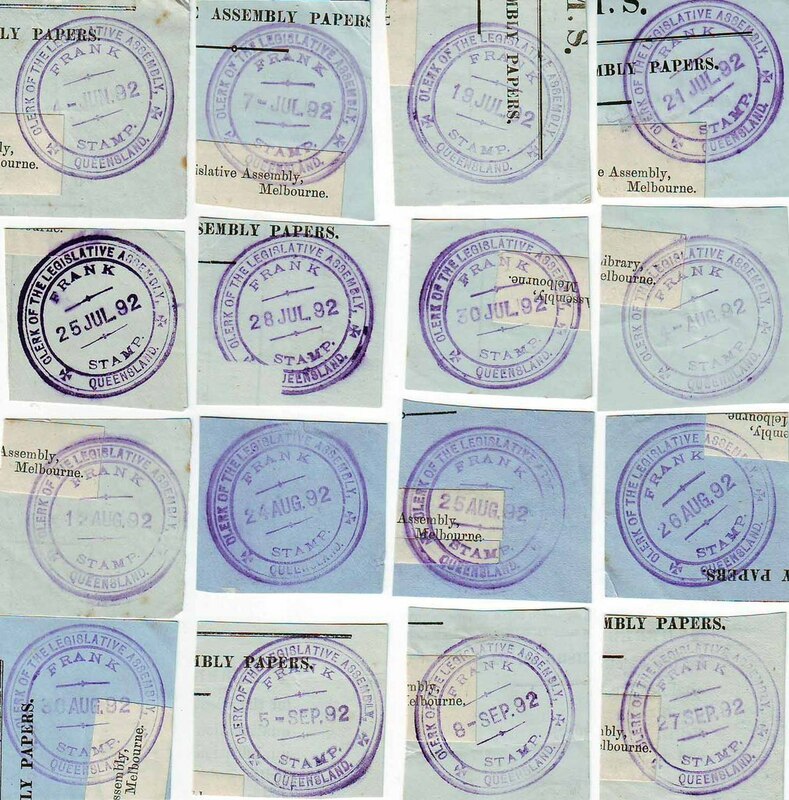 Several dates ranging from EKD 4 June 1892 to 27 Sep 1892 can anybody add to these dates? All cancels appear to have the same characteristics which possibly tells us there was only one canceller in use. 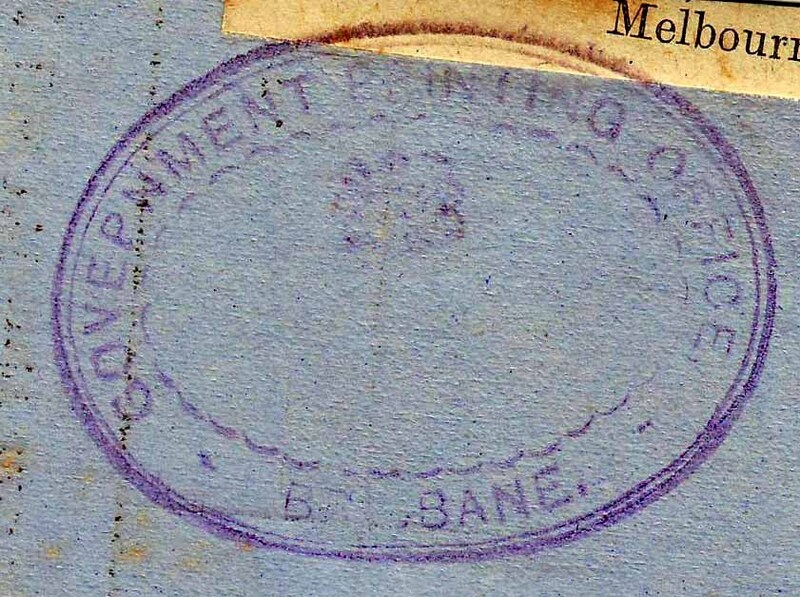 Earliest Known Date 21 Jul 1893. 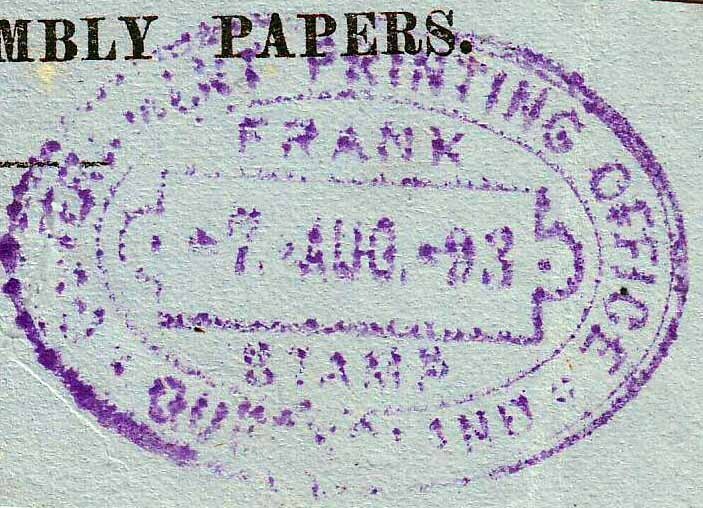 Is this an undated frank Stamp, similar to fig 2. 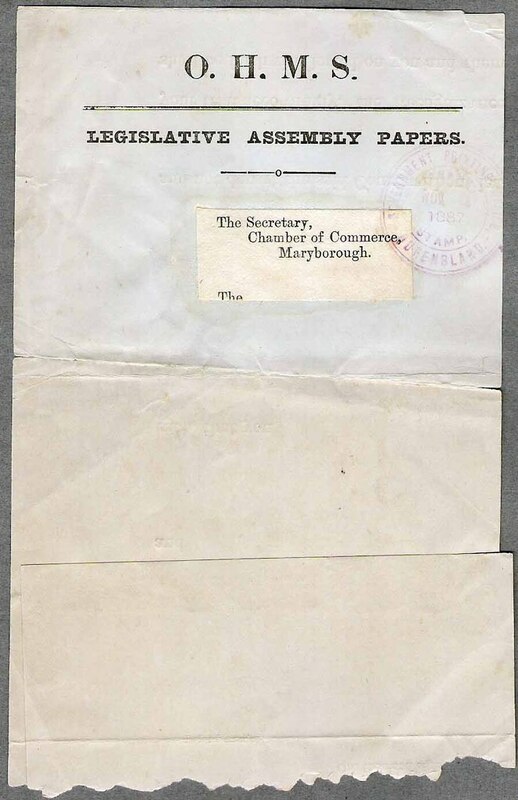 It has part of the Melbourne address for Legislative Assembly Papers. If it is, it is unrecorded.